Major earth changes are normal and accelerating! The large corporation's environmental changes are far more dangerous than natural changes on earth. Politicians and some environmentalists would like to make us believe earth changes and odd weather patterns are humanities fault. That our over indulgences and thirst for the latest and greatest toys and comforts are the cause. These do affect the earth negatively. No doubt we are poisoning the earth and ourselves. But, modern humanity is not the main cause of the current earth changes. Carbon dioxide in the atmosphere has been at much higher levels than it is now from ancient volcanic activity. The physical catalyst for the present major earth changes is the changing magnetism of the earth, in fact the entire universe. 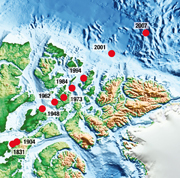 The changing magnetism has caused a number of small polar shifts that are increasing seismic activity. These shifts cause planetary changes such as more volcanic and earthquake activity, which increase the possibility of tsunamis and flooding. 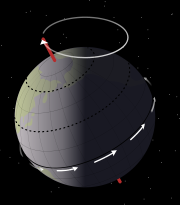 These pole shifts although minor will also affect the weather patterns. Have you noticed that timing and intensity of the seasons is changing? Magnetic north has never been stationary, it has always shifted, but it is now moving from Canada towards Siberia at an unprecedented accelerated pace. Let's take a look at how things transpired in modern history to put us into this increased carbon dioxide situation and poisoning of the earth. I hope you can see the logic. Big business planted the seeds of desire for their products into the minds of the public to profit with little to no regard for the effect of these products on the earth or humanity. We've all bought things hoping they would make us happier or healthier, more beautiful or to free up our time. In many cases we were...disappointed. These non-essential gadgets or in some cases "junk" have exasperated and intensified the naturally occurring earth changes experienced today. They all require energy to produce, and also affect the environment with their unnatural combinations of chemicals, not to mention the pollution created from their waste products. Wow! Looks like some finger pointing...stay with me. Once we the masses were programed and hooked, planned obsolescent made it so we would have to keep buying and buying. That's when the real slavery began. We became slaves to the thirst for things we decided we couldn't live without. This was all in the plan of big business to secure steady customers. Happiness, health and beauty cannot be bought. They come from working on unresolved issues within. When we heal our pain and negative feelings, they're projected outward, than reflect back as our new found happiness. Ever hear the term, "As above, so below?" Well there's another one "As within, so without." The earth changes we experience, and our earthly experiences are just a mirror image of the changes that are happening within us. The Mayan prophecy for 2012 is about the shift away from the values of the Age of Pisces, money, power and control. As we assimilate and accept the values of the next Great Cycle or Age, the earth changes will also level off. All physical external change comes from within first. What we all want deep inside is a simpler more fulfilling life. The Age of Aquarius promises just that. One that would afford us more time to enjoy ourselves, to go after what truly inspires us, and get off the treadmill of maintaining "things" we think we can't live without...but of course can. We can end this merry-go-round. We don't have to fight or demand anything either. We just have to make a decision, just like we did when we opened our wallets to buy all these things. You can change the world through how your spend your money. When we take responsibility for our lives, we have power, choice, control, and we will grow as a person. Yes, we can only blame ourselves, because we said "yes" to our present lives, and gave away our power. Feelings of fatigue, hopelessness, and giving up the fight for things, becomes easier, as people lose houses they can't afford, the jobs they hate, their fancy cars, and all the things they have accumulated. Many people are finding something magical and unexpected as these things fall away while the economic and earth changes march on. Many feel a sense of relief because they don't have to maintain or service these things anymore. They're gone, but somehow people are living just fine without them and experience much less stress. They feel lighter. The earth changes are mirrored by the economic debacle, and the destruction of our personal way of life including marriages that don't work. The earth changes are going to show us what is important and what is not. Things have to fall away to show the "gift" underneath. It's only when we fight the changes that we have pain. You see the earth changes are not really about the earth at all. 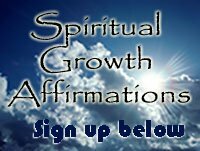 They are about the upheaval and changes occurring inside each and every one of us now. The changes we see on earth are just a reflection of what's going on within. The ancient Maya predicted these changes over 2000 years ago. The messages for humanity written all over their buildings was about a great rebirth to a higher level of consciousness. Most of the Classic Maya's text was about explaining the phenomenal opportunity for inner change around 2012. We are experiencing the shifting sands now, and these changes will continue for some time beyond 2012. If you are a parent, you know the children of today are different than us. Things we think are so important, education, jobs, marriage and grandchildren are not that important to these indigo, crystal and rainbow children as they are called. Many of these children know intuitively things are going to look every different after the earth changes are complete, and the unknown is frightening to some...exciting to others. Why bother working towards the values of their parents, when the values are changing and changing drastically. This is causing major stress in families right now. Modern medicine has also played a major role in humanities debacle out of a sear profit motive. Concepts we have all been lead to believe like "catching" someone's illness, the value of vaccinations and prescription drugs are all showing themselves to be false, as well as detrimental to our health. The earth has had to bear the burden of these poisons in our waste and waterways, which causes other human induced earth changes. Yes, you are drinking other peoples prescription drugs! These big money making frauds are now being exposed and starting to be replaced by more natural cures, high nutrient diets, and detoxification programs. This awareness is coming to the public through alternative news, which is still readily available on the internet. Big business is now trying to squash this uncontrolled freedom of speech to save themselves and their incomes. Run everything through your own filters before you believe it, be it alternative or mainstream news. How could the Maya have known we would be experiencing all these earth changes over 2000 years ago? "It was in the stars." Yes, precession of the equinoxes showed them the progression, and they could mathematically calculate the future. To their amazement, they saw an unprecedented alignment slated to occur around December 21, 2012, which was confirmed by ALL their calendars. They had to tell us about it so we could prepare. For the ancient Mayan, the time of the great forgetting was soon going to be upon them with the Age of Pisces. They wanted something to remind them during these hard and dark times, that there was a light shining in the distance around 2012. The earth changes we are experiencing right now are the dismantling of the values that don't work in our lives anymore. The Maya knew of the earth changes we are experiences now, and did not see disaster. They saw hope of a brighter tomorrow...a waking up again. Disaster is when you fight the changes, which will naturally occur regardless of what you think or want. Flow with them and let them show you the gem beyond the fear of change.